It’s no secret: if you want to be a doctor and you want to be successful (not paying off student loans for the next 50 years because your job does not pay enough) then you have to choose the right medical school. But they’re all the same right? Every medical school teaches the same laws, ethics, and standards, true, but the quality of the education and training you’ll receive, and the reputation of the college and how it will impact your life and your career path, are all things that you must think about before sending out your applications to the nearest medical school. The most recently reviewed top 10 medical research universities in the world are spread far and wide, but it is clear that schools in the United Kingdom are making their mark on medical research. 2.Harvard University is the oldest university in the United States of America, has the largest financial endowment bestowed upon any university worldwide. While the university does not generate industry income in the field of medical research it does provide a significant amount of credibility and input into medical research. 3.Imperial College London is focused on research but has a broader field of study than other universities, allowing students to better understand medicine, natural sciences, business, and engineering. 4.University of Cambridge is perhaps one of the most oft cited universities in the world when it comes to medical research. 5.Johns Hopkins has an eye on the future of international research with campuses in Italy, China, Washington D.C., Baltimore, and other locations. The university also generates the highest industry income. 6.Stanford University is nearly as selective as Harvard, accepting only seven per cent of its applicants, and its medical program focuses on health, clinical, and pre-clinical research. 7.University College London is famous for being the first university in Britain to allow women equal entry status, and has a high aptitude for teaching in clinical and pre-clinical medicines and research. 8.Yale University produces some of the most cited medical research in the world and has a heavy emphasis on teaching with alum including five former U.S. Presidents. 9.University of California, Los Angeles (UCLA) is more than just a school for those who want to run the movie business. It’s medical research program is held in high regard worldwide and its emphasis on teaching and research make it a top 10 school. 10.Duke University grew from humble roots into one of the leaders in generating industry income and citable research. What do you think of the world’s top 10 medical research schools? Where would you go to study at? Are you thinking about studying in a university and are not necessarily set to study at a UK institution? Good on you! A little adventure goes a long way; however, it is worth considering that out of the top 100 universities in the world, 2 of them are right here in the UK. This article will let you know the top 10 out there; it, in fact, represents universities in just three countries. The UK, US and Japan, pretty impressive that we Brits have appeared in the list two times, not as impressive as our US counterparts though! Ranked at number 1 is the notorious Harvard University in the good old U S of A. The university was established back in 1636, and the name is derived from the surname of the major beneficiary at the time. Mr. John, Harvard. Number 2 is The Massachusetts Institute of Technology in the US. The university celebrated their 150th anniversary back in 2011. Their mission is to teach students to be able to serve the 21st century better by making advances in technology. 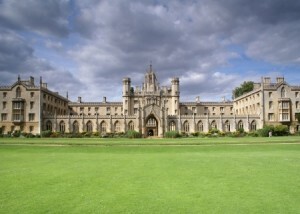 Number 3 is of course a British golden oldie, The University of Cambridge. Back in 2009 the uni celebrated its 800th anniversary. During the time, it has been open; many a famous figure has passed through the doors. Number 4 is Oxford University,again right here on UK turf. The university has one of the lowest dropout rates of students around the world. Number 5 is The University of California in Berkeley, United States. They offer nine campuses to study at. In at six is Stanford University, in the US. It was first founded in 1895, by then Senator, Leland Stanford, and his wife Jane in loving memory of their son, whom died aged just 15 with typhoid fever. At seven, we have Princeton University, again in the US. It was chartered back in 1746, and is the fourth eldest university in the US. At number, eight is The University of California, in Los Angeles, again in the US. It was opened up in 1868 and is the oldest of ten UC schools. Coming in at number 9 is The University of Tokyo, in Japan the uni was first opened in 1878, and has a great track record. And, at number 10, again the US has made the list again with Yale University. So there you have it, should you get the opportunity to pack your bag and study at uni, you should not rule out studying abroad. The US has some fantastic establishments, as does Japan. One thing that remains for sure is that the two countries are certainly going to be able to offer you a different learning experience than that of your UK friends who stay put on UK turf. The choice is yours, and of course will also be determined by your grades, and the policies that are set by each of the universities with regards to accepting foreign students, and of course, the percentile of overseas entries that are allowed to gain entry there each year. If you’re considering furthering your education and are going to be completing your college course soon, then it is time to start hunting for the best university to study at. Of course, it all depends on the final grades of your college course, and if your application is successful. This article contains a list of the top 10 universities that are inside the UK. All are excellent options to consider when applying for a university within the UK. Cambridge University comes in at number one. Students who apply there though need to ensure that they are prepared for the all work, no play attitude! In fact, most of the conditional offers that are made by the colleges require A*AA in no less than three A level subjects Colleges are allowed to have the discretion to make offers that are non-standard where they feel it is appropriate, when they have conducted their assessment of applicants. All those whom apply may be required to submit some written work, or to perform a test. Also, you should be prepared for an extensive interview as the university also interviews all candidates who apply there. Oxford University is in second place, and well, you will probably already know that it is,in fact, the oldest university, in the English-speaking world. Education can be dated back to the faculty all the way from 1096. They are able to boast a whole host of successful students that graduated there, including thirty international leaders, an amazing twenty six British Prime Ministers, twenty six Nobel Prize peace winners, twelve saints, six kings and twenty archbishops of Canterbury. Need we go on?! You really have to be a high graded student to consider getting an offer to study there. And if you do, well who knows, perhaps you can be the next prime minister! London School of Economics is number three on the list. The establishment was founded back in 1895. To enter they encourage applicants with very high academic potential and are not biased, or do not take into consideration your background. There is certainly no shoulder rubbing when getting into this university! You will, however, need a few A stars and very high graded GCSEs. Imperial College London – established in 1907, this fine UK establishment comes in at number four. And that is clearly not without a reason. The university used to be associated to The University of London, but back in 2007 on their 100th anniversary, the University broke free and became an independent establishment. It is a famous university for those that are familiar with medicine, because they were behind the breakthrough for Penicillin. Durham ranks number 5, and has been running since back in 1832. The third eldest university on UK soil, after Oxford and Cambridge. In 1987, the Cathedral and Castle close by to the site of the university became known as a world heritage site. Their application process is varied, and you should visit their website to read more. Number 6, St Andrews Located in Scotland. The university was opened in 1413. As you can imagine the walls within have seen a lot of comings and goings! There is actually no campus onsite, so you must consider this before applying! University College London ranks number 7. It was established back in 1826 and was the very first UK University to openly admit any one regardless of religion, race or class. A fine university, that is well worth considering. Warwick is number 8 on the list, and back in 1965, they were awarded a Royal Charter of Cooperation. Located between Coventry, and the border of Warwickshire, the university is a great place to study at. They offer a lot more info about admissions on their website. Bath ranks number 9 in the UK. Back in 1966, the university was given a royal charter. They also have a £35 million sports training facility on site. Exeter is last but not least. Founded in 1855, they have come a long way since then. They boast three campuses. Those are, St Luke’s Campus, Cornwall Campus and of course Stratham Campus. So there you have it folks! The leading ten universities in the UK. Are you applying for university placements, or have just studied at one of the above establishments? If so, why not let us know.